The Renewable Energy Association has reacted with alarm after Government proposals on setting energy prices omitted dedicated biomass electricity generation. The Government announced a series of draft ‘strike prices’ for renewable power technologies under the Contracts for Difference (CfD) system set out in the Energy Bill. These set a guaranteed price for different types of energy to help remove price volatility for electricity generated by low-carbon sources. The Department for Energy and Climate Change said renewable strike prices would help renewables contribute more than 30% of the UK’s total power mix by 2020. Proposed prices for biomass with combined heat and power have been set at a maximum £120 per MWh over the next five years. Prices paid to biomass conversions have been proposed at a maximum £105 per MWh. But it has not been confirmed whether dedicated biomass will be supported, with a decision delayed until the publication of the Electricity Market Reform Delivery Plan in July. REA chief executive Gaynor Hartnell said: “The omission of dedicated biomass power from today’s announcement of draft strike prices is striking. Given that a cap has been imposed for dedicated biomass under the Renewables Obligation, it is particularly important to get clarity on the Government’s intentions for this technology under the CfD regime. Energy secretary Ed Davey said: “The strike prices for renewable technologies announced today aim to make the UK market one of the most attractive for developers of wind, wave, tidal, solar and other renewables technologies, whilst minimising the costs to consumers. REA also said the recent spending round announced by chancellor George Osborne had revealed a “lower than expected” 2014/15 budget for the Renewable Heat Incentive (RHI). It said spending on renewable heat technologies needs to “roughly double every year in the early years”. But the Treasury’s figure of £430m in 2015-6 falls well short of the £800m REA estimates will be needed. Hartnell said: “It is important that the UK meets its renewables target in the most cost-effective way possible. Heating from biomass is one of the cheapest means of doing this. “This poor settlement, coupled with next week’s tariff reductions for medium scale biomass installations, sends a very bad message over the Government’s long-term support for this sector. There is a significant lack of faith within the renewable energy industry that the UK will meet its 2020 target, according to the Renewable Energy Association (REA). Key energy from waste players have called for clarity on sustainable power policy from Tory ministers or risk investment. 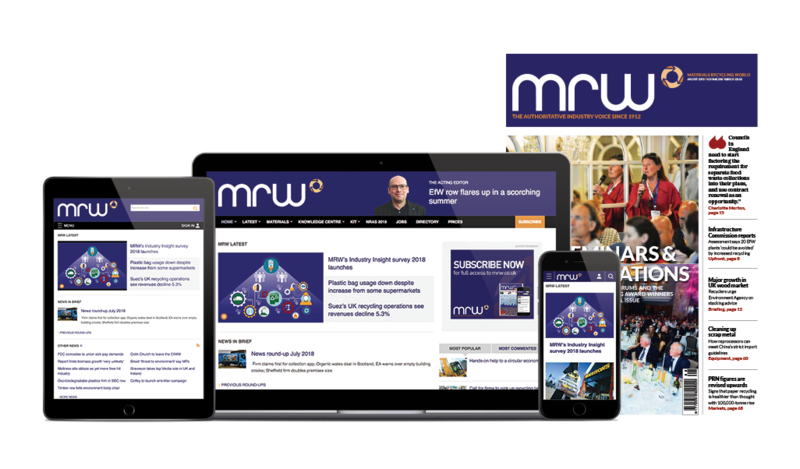 The draft Energy Bill has failed to provide the firm commitment to renewables crucial to lever in finance for energy-from-waste (EfW) projects, industry chiefs have told MRW.